Microsoft announced a 25pc increase in its quarterly dividend on Tuesday to 20 cents per share, as the technology giant hands more cash back to shareholders frustrated with its stagnant share price. The increase, following a 23pc hike last year, is on the high-end of the range expected by Wall Street, but still may disappoint some investors hoping for a greater payout from Microsoft’s $53bn (Â£34bn) pile of cash and short-term investments. Shares of Microsoft rose 12 cents to $27.10 in extended trading on Tuesday. The latest increase, payable on December 8 to shareholders of record as of November 15, 2011, means Microsoft’s dividend yield is now about 3pc. That puts it in the mid-range of comparable large tech firms, with Intel hovering around 4pc and IBM around 1.8pc. Cisco, which introduced a dividend earlier this year, is at around 1.5pc. Google and Apple do not pay dividends. A regular dividend is generally regarded as a mark of a mature company that cannot match earlier growth rates or stock gains, and tends to attract more conservative investors. Despite explosive growth in the 1990s, Microsoft finds itself in that category, with a share price essentially unchanged for the past decade. 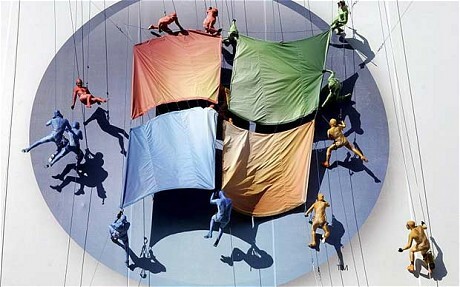 Microsoft, which went public in 1986, paid its first annual dividend in 2003. The following year it issued a special dividend of $3 per share – shelling out more than $30bn in one go – and started paying a quarterly dividend, which it has raised in increments most years since then.